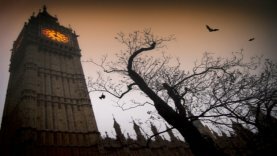 October may be far away, but that doesn’t really matter when the subject of horror fascinates people all year round. 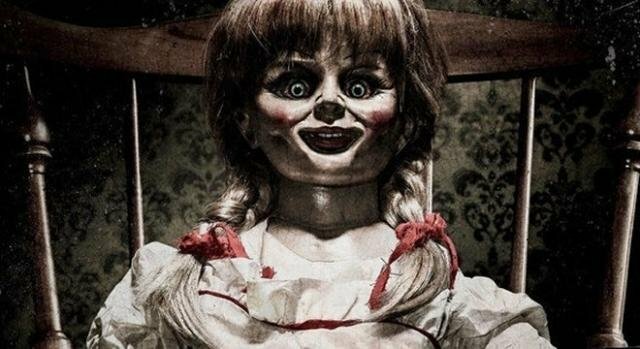 Whether this is a scary story or a James Wan feature film, there is always something for horror lovers everywhere. At the end of the day, there is always this sense of comfort knowing that these tales are mostly just exaggerated for audiences. 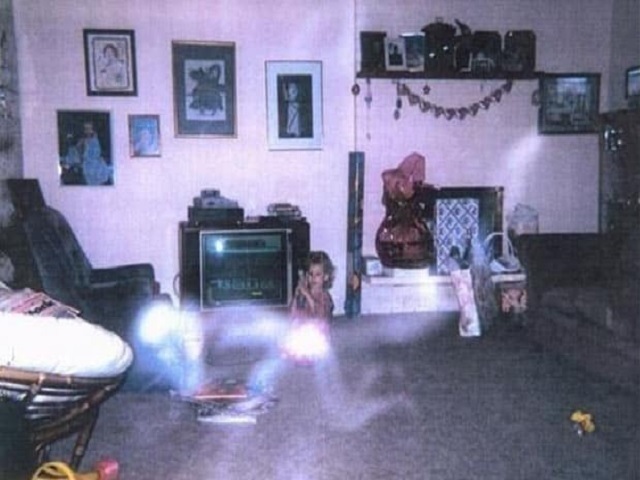 The collection of ghost photos you’ll find below are compelling proof of the paranormal. 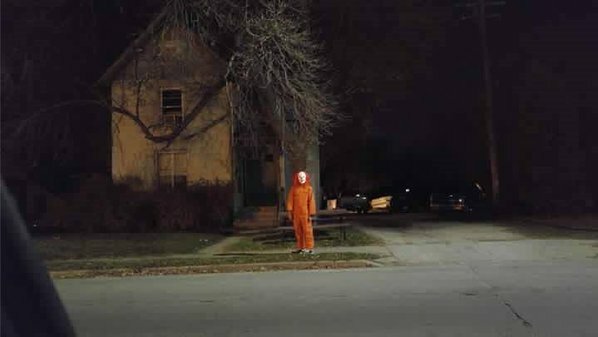 Be warned, their equally dark history is so terrifying, you might not be able to sleep tonight. In this rather grainy photo, what appears to be three hooded monks can be seen walking in procession. It was said that no living monks have set foot in the Cathedral since King Henry VIII had them executed in the 1500s. 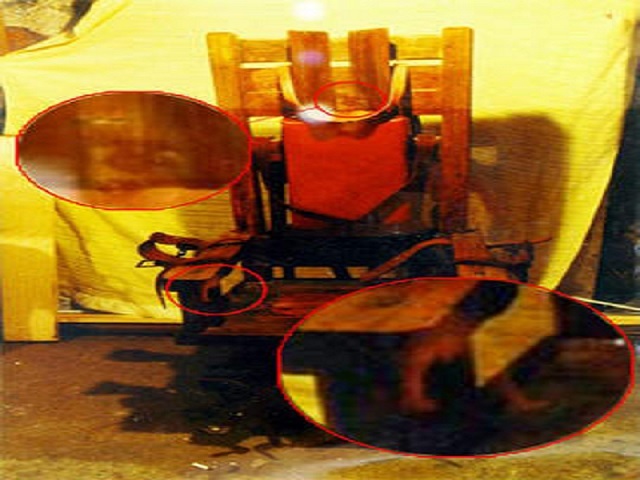 Engineer Ted Lucher was updating the electric chair in the Tennessee Penitentiary when he captured this photo. 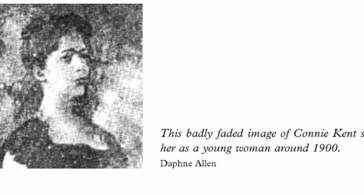 The picture shows a figure with the face of pure agony as well as an eerie hand on the armrest. 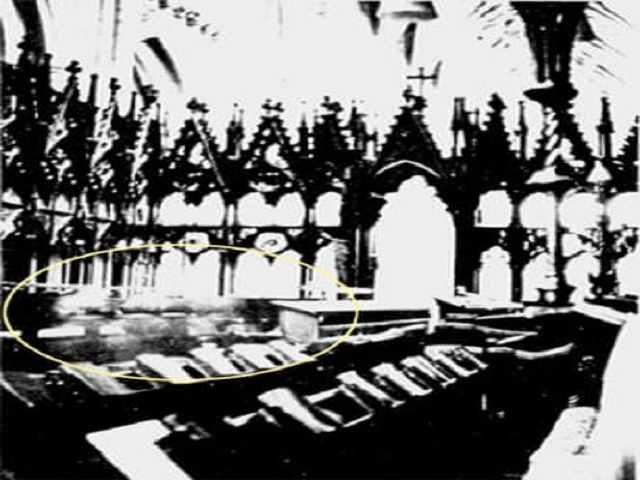 Diane Berthelot and her family decided to pay the St. Mary Church a visit in August 1975. They were trying to avoid the heat by entering the church premises. As Diane took a seat on one of the pews, her husband began taking photos. When they finally developed the photos, they realized that something was not right. 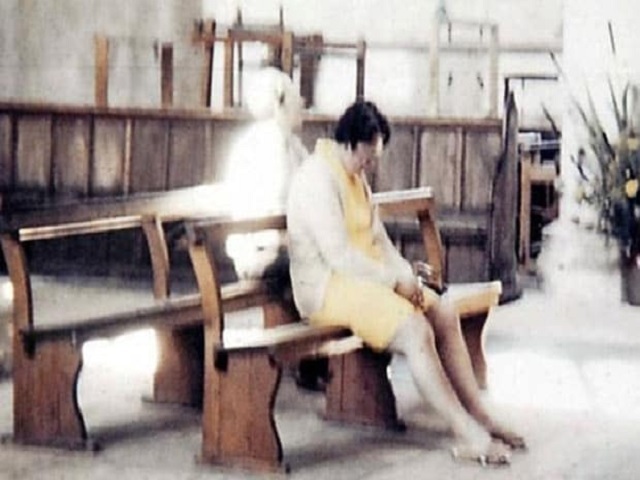 In what could possibly be one of the scariest ghost photos ever, Diane found a woman dressed in old-fashioned clothes and a bonnet, sitting right behind her. 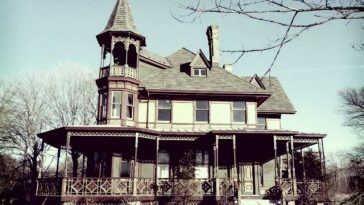 In Greencastle, Indiana, there stood the old O’Hare Mansion. It was later demolished to make way for a cornfield—but not before this man captured something out of the ordinary. 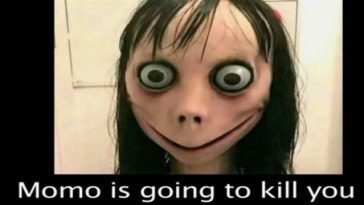 According to reports, a descendant of the O’Hare family confirmed that the figure in the photo bore an eerie resemblance to one of their ancestors. Neil Sandbach was taking random shots at a farm in Hertfordshire, England, when he noticed something unusual. 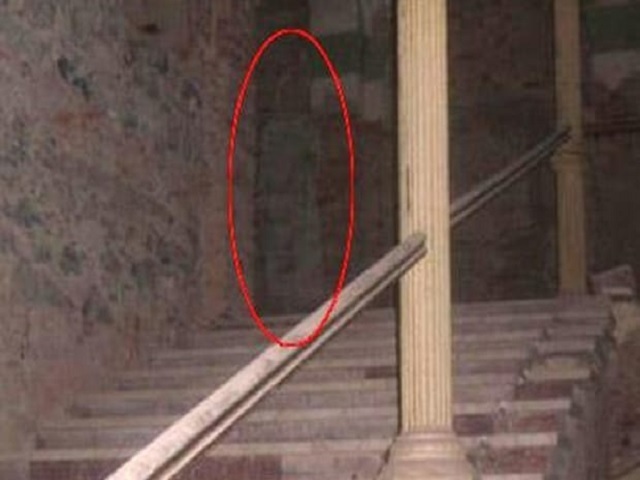 A ghostly figure of a child was spotted peeking around a corner as if curious about its human visitor. 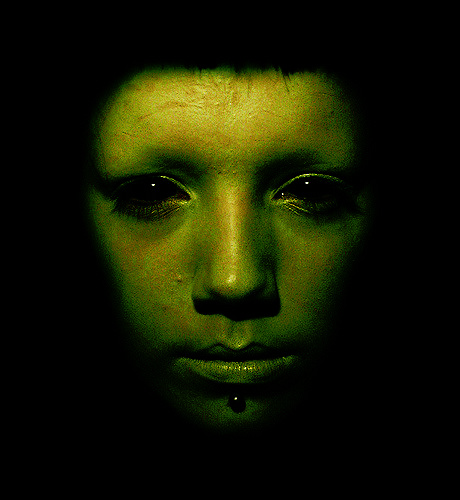 The apparition was said to be that of a young boy who often lurked around the farm at night. 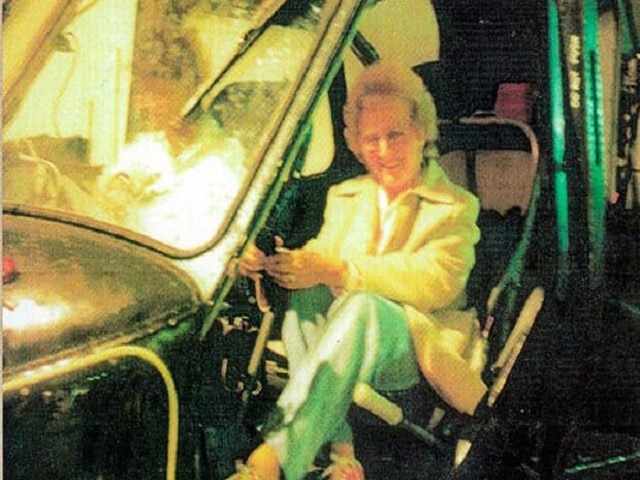 A woman visiting the Fleet Arms in 1987 complained of feeling cold that day despite the weather being quite warm. 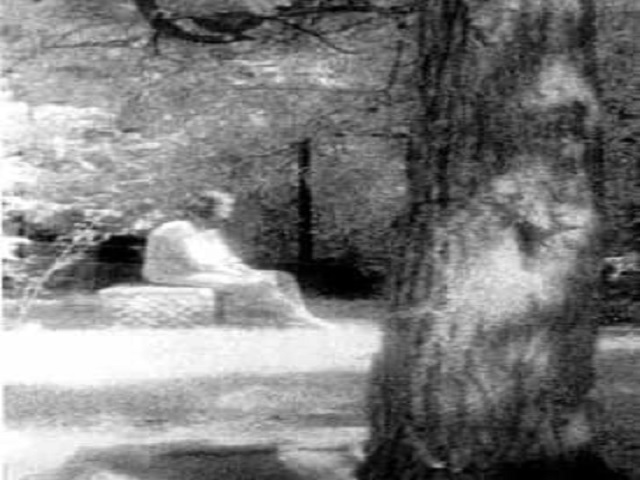 She was believed to be alone when the photos were taken, but once they were developed, one picture showed a man sitting directly beside her. 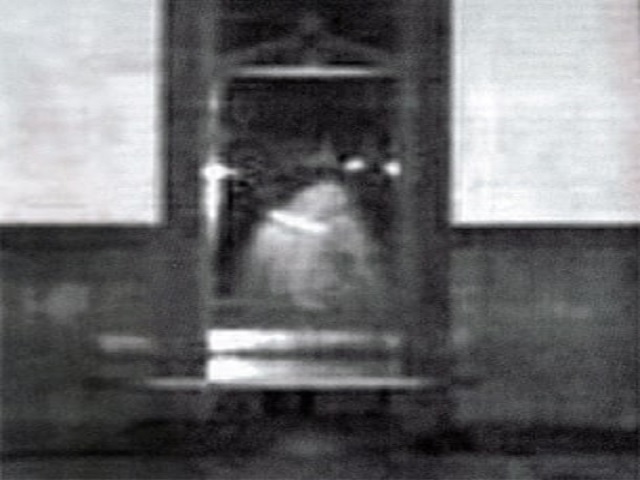 When Victoria Iovan explored the Decebal Hotel in Romania back in 2008, she never expected to capture this ghostly image of a tall figure in a long white gown. According to Iovan, the ghost could belong to a priestess who once resided in the area. Who says pizza parlors can’t be haunted? 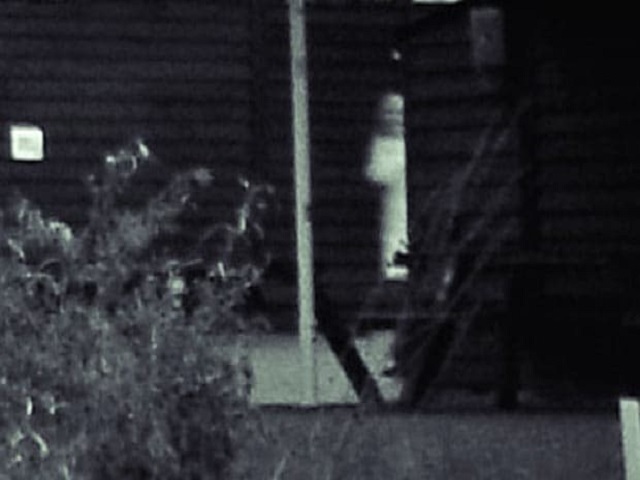 A paranormal investigation team came across this entity at the Godfather’s Pizza in Utah. Could this specter be the ghost of a student gone too soon? 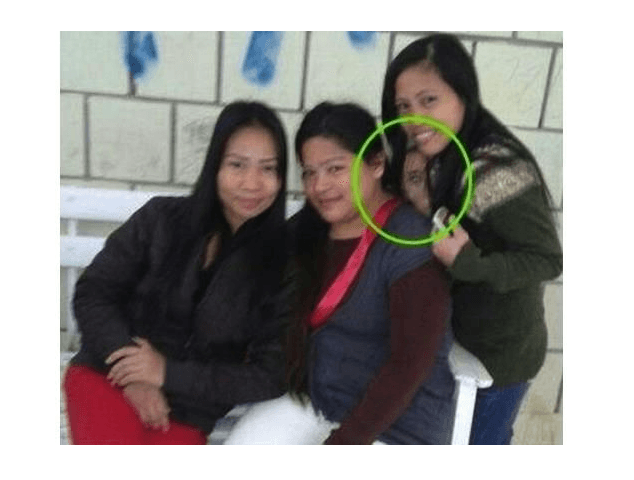 A woman who took a photo of her mother sitting by the fire during a get-together swore that there was supposedly no one else in the photo. 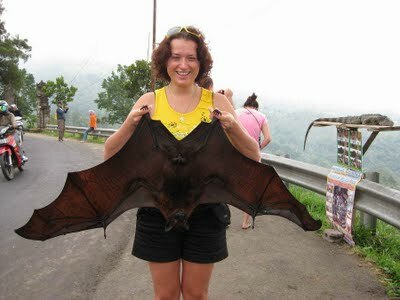 If so, then who or what is that figure sitting beside her? 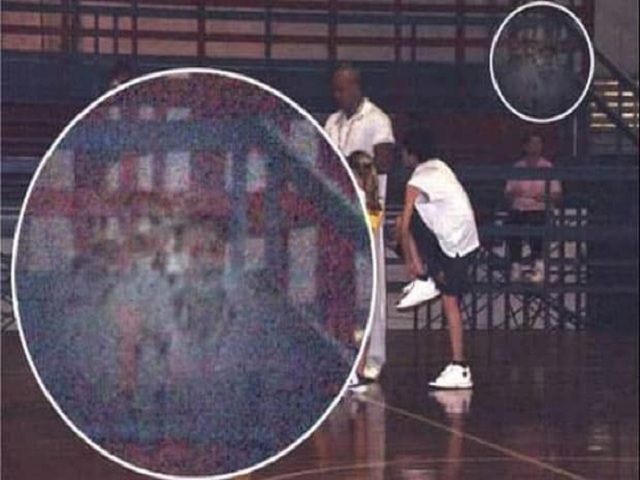 This is arguably one of the most famous ghost photos on the Internet. Denise Russell took this photograph back in August 1997. It was not until three years later that she noticed that the man standing behind her grandmother looked like her grandfather—who passed away on August 14, 1984. This photo created quite the sensation when it was taken back in 1963. 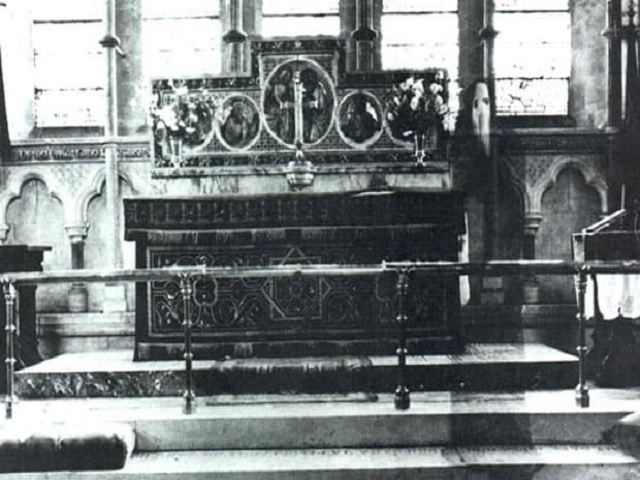 It is said to show a “monk” standing directly in the altar of Newby Church of Christ. 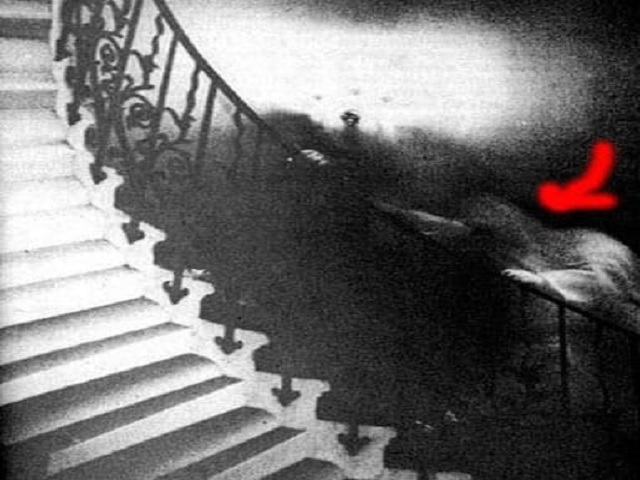 A number of paranormal books have published this photograph, and it remains to be one of the most compelling evidences of the unknown today. 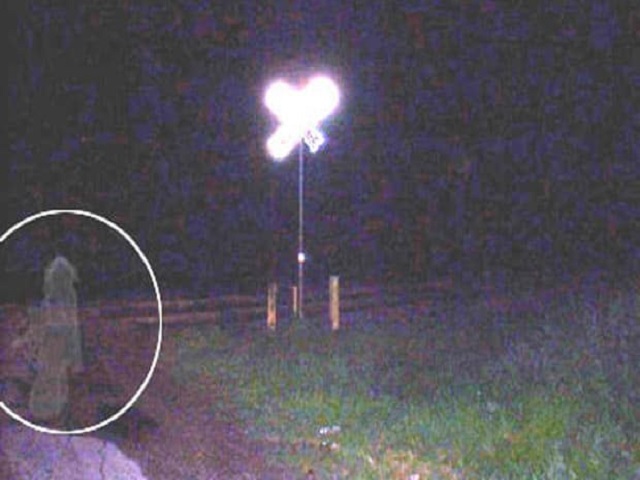 Tales of haunted railroad tracks are uncommon, but this image is one of the most famous ghost photos involving the place. Legend has it that there was a crowded school bus stalled directly at a railroad crossing in San Antonio, Texas. 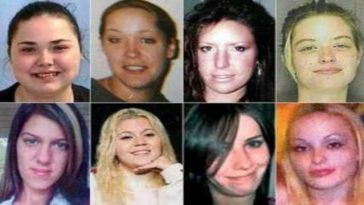 A train roared closer, but it failed to stop at its tracks, killing a dozen children in the process. This photo was taken by a paranormal group investigating Bachelor’s Grove Cemetery. Aside from the team, there was no one else in the site. So what is the real explanation behind this figure of a woman sitting on one of the benches? 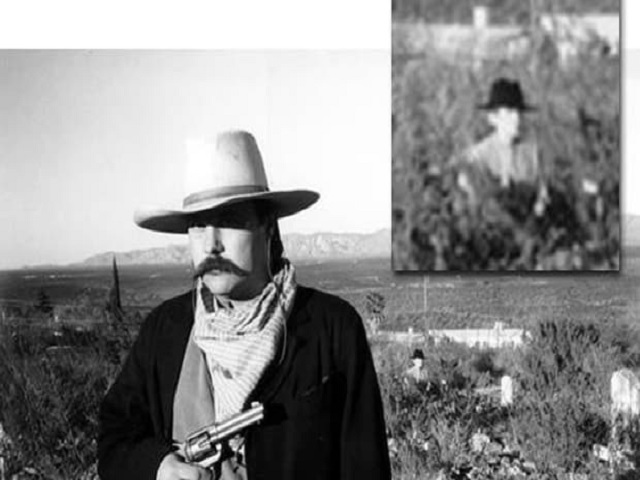 All Ike Clanton wanted was to take a photo of his friend in Tombstone, Arizona. What he did not expect was a mysterious uninvited guest appearing in the background. Could this be the restless spirit of a cowboy? 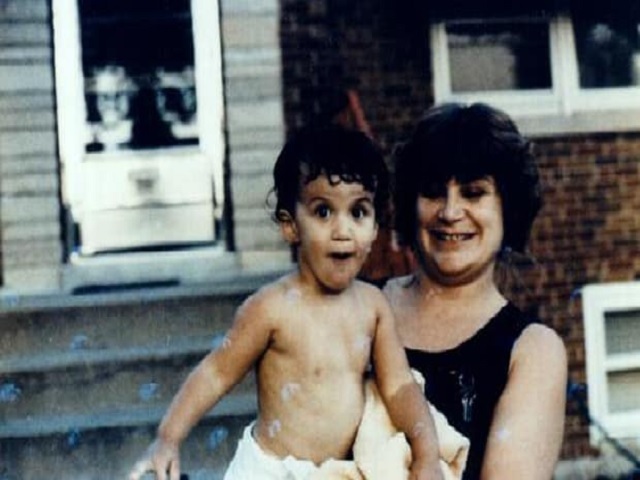 This appears to be nothing but an innocent photo of a mom and her baby boy, but look closely and you’ll spot the sinister faces appearing in the back. Many have said that this photo is nothing but a reflection of light. 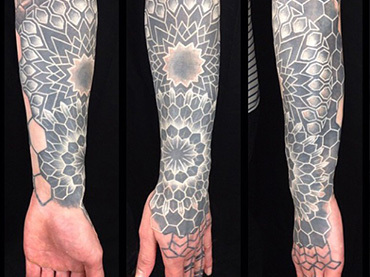 But how can anyone explain why it is shaped like a human being? 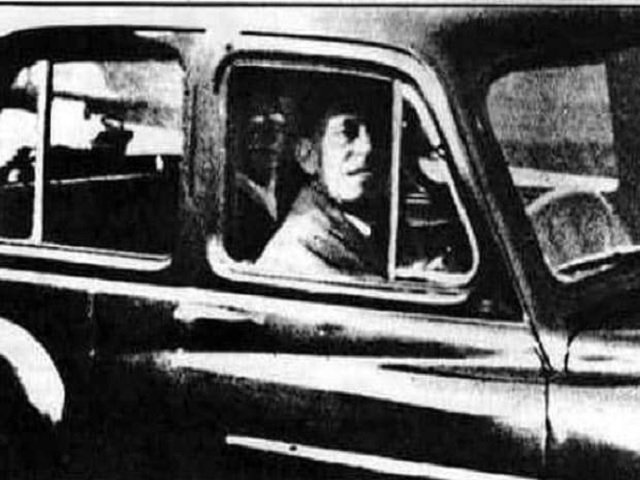 In 1959, a woman named Mabel Chinnery went to cemetery to pay her late mother a visit. 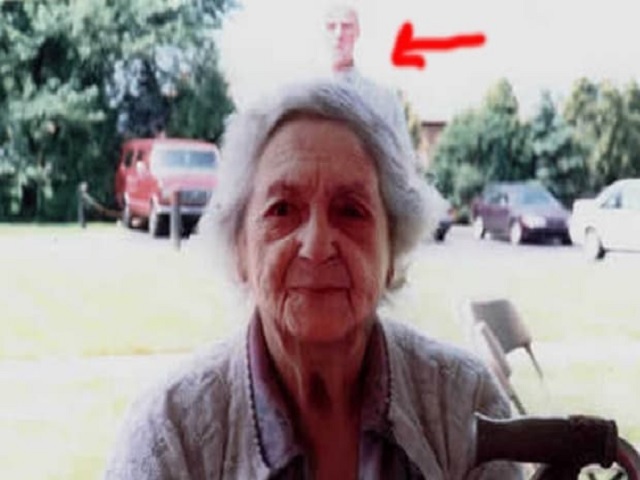 When she took a photo of her husband sitting alone in the car, she was shocked to see a figure appear directly behind him. Experts have said testified that the photo was unlikely tampered. Back in 1966, a Canadian Clergyman by the name Ralph Hardy took photos around the National Maritime Museum in Greenwich, London. 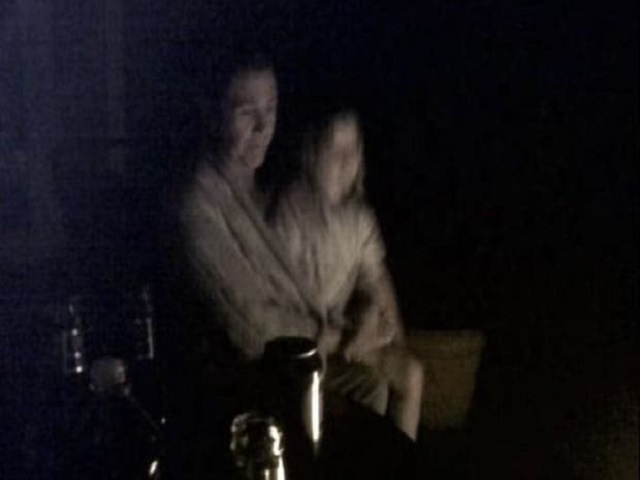 At first, he failed to notice anything wrong about the photo—until he spotted the strange ghostly figure in the shadows. Freddy Jackson was an air mechanic who was unfortunately killed by an airplane propeller. 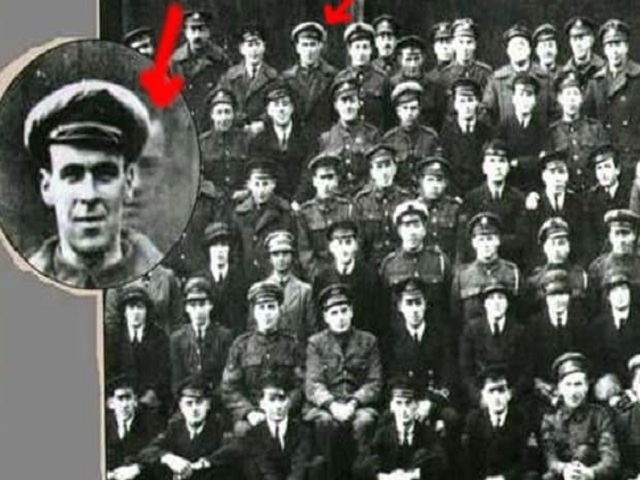 During the day of his funeral, his squadron decided to take a photo. Unbeknownst to them, Freddy would be making an appearance behind one of his former team members. 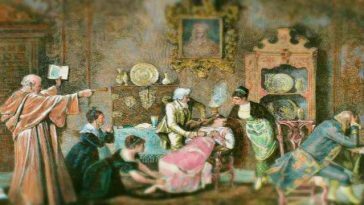 Lord Combermere was a 73-year-old Englishman who lost his legs after being run over by a horse-drawn carriage. 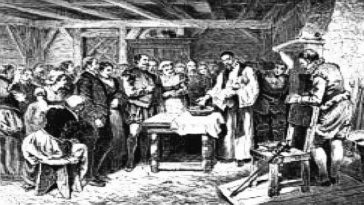 But in December 1891, a blood clot started to form in his heart, which eventually led to his death. 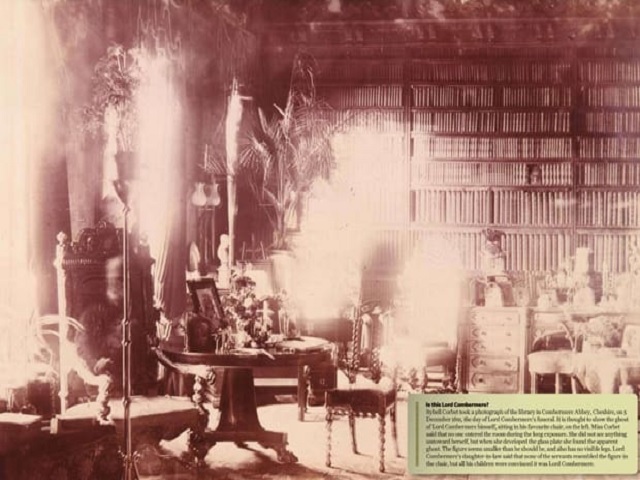 On the day of his funeral, a woman took a photo of the library of Combermere Abbey. 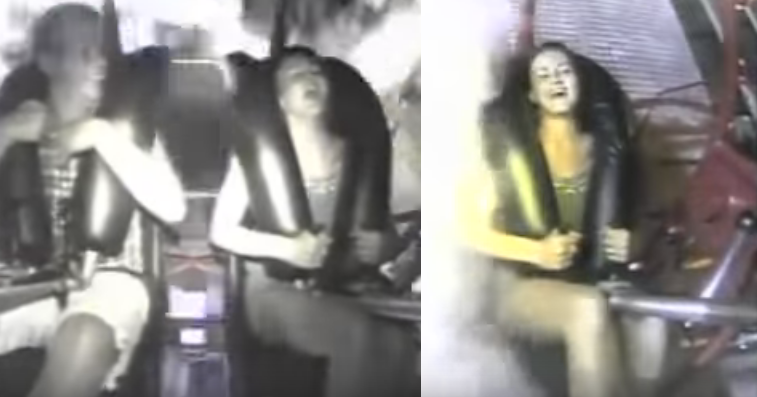 When the photos were developed, she was more than surprised to see a figure of a semi-transparent man sitting on one of the chairs. 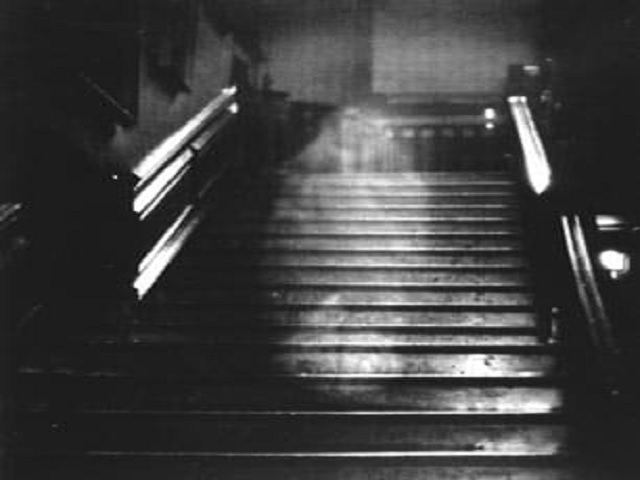 The Brown Lady of Raynham Hall is a ghost that haunts Raynham Hall in Norfolk, England. 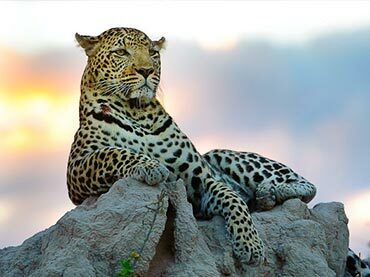 Photographers from Country Life have captured the Brown Lady in the photo below. 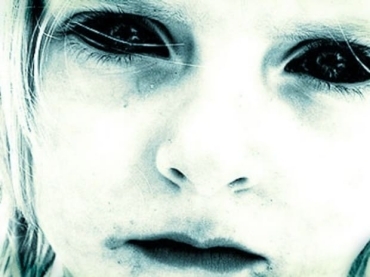 Next article Poltergeists and Demons: Can Imaginary Friends Be Something Sinister?